UPDATE: The digital key feature is now available at Disney’s Wilderness Lodge. 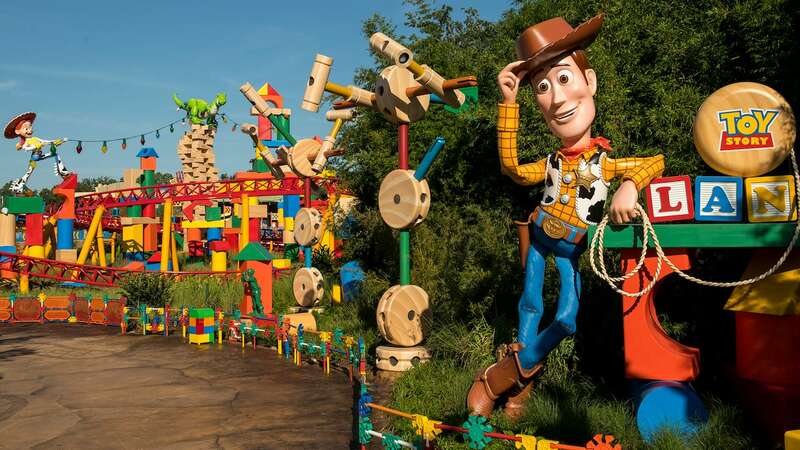 The complimentary feature will become available later this month at Disney’s Wilderness Lodge, including the Boulder Ridge Villas and Copper Creek Villas & Cabins, and is expected to expand to other Disney Resort hotels in the coming months. We will have more to share soon about the digital key feature and other future enhancements to the app, so be sure to read the Disney Parks Blog for the latest information and updates on My Disney Experience – your one-stop-shop for all things Walt Disney World during your visit. That’s a nice addition. NOT a game changer. I would be very impressed if the bus times would make it to MDE. To be able to check when the next bus will arrive at my resort or park would be a wonderful help! See ya in the fall. Mike, I don’t think rotary phones are accepted. The cord on my phone won’t reach! I’m sticking with my Magic Band. I too think that this is a wonderful idea. Depending on where the lock scanner is and where I have the MagicBand on me often I have to take my MagicBand off to open the door. If I can just use my phone….great! Remember, this will be a tool for your stay in the hotel. Your Magic Bands will still be needed for all your other non-hotel related activities at the resort, such as park entry, FastPass+, purchases charged to your rooms and more. I hope this clears things up. Have a magical day and enjoy your trip! I think the idea is brilliant! While at Walt Disney World I’m always on my phone checking on My Disney Experience App., dining reservations, FastPass+ Reservations and hours for shows, park hours, and lots of other options available! I think this is taking a lot of the guess work out of equation and giving you the power of magic all in one place! Honestly, I think it’s a great idea! It seems like it can be the start of a lot of great innovation, in that it seems to work a bit like a smart lock at home. You can do a bunch with that! The video even says that you can also use the Magicband if you’d prefer, but this just gives more options. In my mind, the more options to make the experience magical and convenient, the better! Not taking my phone out for this. I have to agree with Mary. I would much prefer to use my magic band to get in the door of my room since it is on my wrist. Plus, I usually leave my phone in the room safe if we go to the pool or the water parks. If it will make getting in the hotel gate easier, then I am all for that; but I’m assuming you would have to hold that up to the keypad there as well, which is not easy for us height challenged people. Ashley….Bluetooth doesn’t use WiFi. It’s a separate short distance connection frequency. No offense, but this seems like a step backwards. Why would I want to…. Magic band = hold wrist up to door and done. So easy, quick and convenient. I personally like using the magicband, my phone is usually in my purse (and low battery) so I hope you retain the magicbands opening the doors, but digital keys is the norm. However, they aren’t as “magical” feeling! I do use the app endlessly during our stay and do online check-in which is very nice, but I am trying to get away from needing my phone so much during the day. I even bring a mini camera instead of using my phone camera. I guess a lot of people will like this. But from my perspective, why would I dig in my purse, sign in or use my fingerprint to access my phone, then activate the app to get into my room when all I do now is wave my arm at the door? Seems like a lot of work. I’ll keep my magic band, thank you. 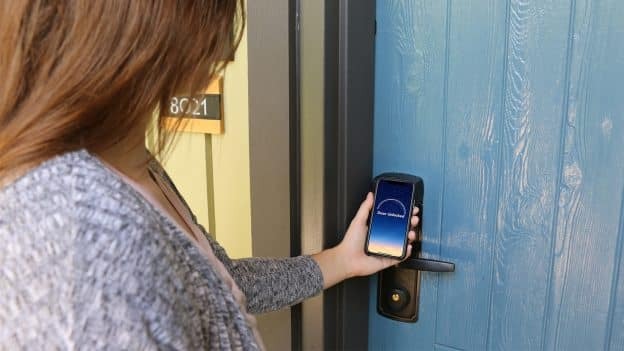 When it says: “Bluetooth®-enabled mobile devices with the latest version of the My Disney Experience app are required to take advantage of a digital key for room entry” does that mean we won’t be able to use our magic band to open the room door, just our phones??? I have a bluetooth enabled phone but I don’t carry it with me everywhere when I’m in Disney as I use my magic band. Ashely if it’s anything like the Marriott mobile key it won’t require internet once it’s been downloaded. Will Disney be increasing Wi-Fi strength for this?